If you don't know what the ketogenic diet is, it's basically a high fat version of the low carb diet and if you ever decide to go on a low carb diet, this is the one you want to be on. The Atkins version of the low carb diet has some serious flaws, due to the fact that it is high in protein. What's the problem with protein? In essence, nothing, but when you consume too much protein in your diet your body turns the remaining protein into glucose, which means that you are burning carbohydrates again. So don't fear fat! And I know I'm going to get flamed for saying this, but don't fear saturated fat either - it was never involved in the heart disease epidemic like many people believe. If you want to lower your blood pressure without any types of medications, then the ketogenic diet is the way to go. If you do take medications, always talk to your doctor before you stop taking them. You might be able to talk your doctor into stopping the medications or reducing their dosage, if you tell him what type of diet you're going on. LDL is known as your "bad" cholesterol. Too much LDL cholesterol is actually not caused by consuming fat, however. Instead, researchers are finding that too much LDL in the blood is caused by consuming a high carbohydrate diet. 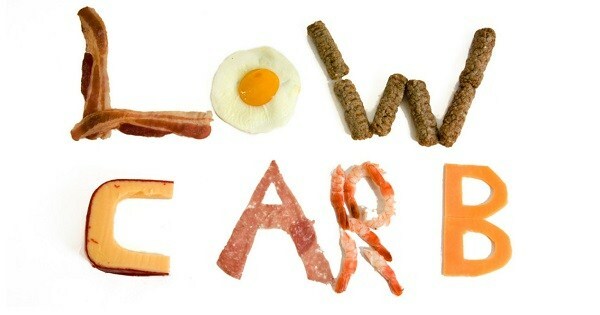 So by going on the ketogenic low carb diet, you can drastically lower your LDL cholesterol levels. Saturated fat might not actually be as bad as you think - "the more saturated fat you eat, the higher it will go." This is fantastic because it can improve the ratio of HDL to LDL cholesterol. High HDL has also been associated with cardiovascular benefits as well. The more carbohydrates you eat, the higher your triglycerides will be and this is exactly why the ketogenic diet can lower your triglycerides. Too many triglycerides in your blood is associated with an increased risk in heart attack and stroke so you want to keep your triglycerides as low as possible. It's amazing how much energy you'll have on this type of diet. If you suffer from chronic fatigue syndrome, this could very well be your cure. The increase in ketones will act as a stimulant and the insulin roller coaster will be non-existent, so it makes sense why this is true. This is the one of the things I noticed when I went on this diet. I'm a strong believer that grain products are a cause of joint pain and there are some studies to back up what I'm saying. The standard American diet simply made me "foggy". Your brain is about 65% fat so it makes sense that the more fat you eat, the better your brain will function. Fatty acids have also been associated with improved neurological functions. When you're on a ketogenic diet your body is burning fat as the preferred source of fuel instead of carbohydrates. This means that it's going to use your fat stores as the primary energy source, so anytime you eat a calorie deficit the fat will literally melt off your body. 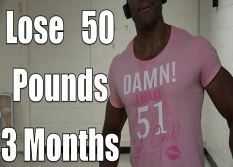 So if your goal is to lose fat fast then the ketogenic diet is the way to go. 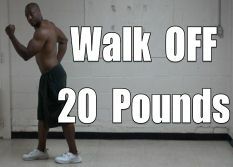 Not to mention that it will spare your muscle mass as well! Fat is very satisfying. Increasing the amount of fat in your diet can help you literally forget about eating sometimes. Fat is also very thermogenic, so it might also help you increase your metabolism as well. If you struggle from food addiction, you'll be amazed when you go on this type of diet - you'll find it nearly impossible to eat more! I've noticed this as well. Although there are no studies on this, I'm a strong believer that consuming too many grains can definitely contribute to an increased incidence in heartburn. Too much sugar in your mouth can negatively affect your ph and can cause tooth decay. If you have gum disease or you want to improve the quality of your teeth, then going on a ketogenic diet can definitely help you do so. You're definitely going to notice a decrease in bloating, gas, burping, etc. All of these side effects are associated with a high carbohydrate diet. You heard me. If your goal is to build lean muscle mass, then the ketogenic diet can help you increase your muscle building hormone production - specifically testosterone and growth hormone. Not to mention the increase in protein consumption can help you build more muscle. Many people will tell you that you need carbohydrates for building muscle because "you have to have glycogen to build muscle", but obviously they have not done their homework. If they had, they would have come to the conclusion that when you finally adapt to a ketogenic diet (after a few weeks), your body replaces muscle glycogen with fat in the muscle cell - an inter-muscular triglyceride. These inter-muscular triglycerides are just as effective as muscle glycogen when it comes to aiding in muscle growth and some studies even suggest that they might do a better job than muscle glycogen. These are just some of the many benefits to eating a ketogenic diet. By going on a ketogenic diet you can not only improve your health, but your physique as well! Just remember that there is a huge difference between the Atkins version of the low carbohydrate diet and the ketogenic version, so if you want to experience any of these benefits then you must forget about eating high amounts of protein and start embracing fat. Remember, 65% of your calories from fat, 35% of your calories from protein and no more than 5% of your calories from carbs. Do this and you'll be golden. Did you do ketogenic personally? i want to start the keto diet, but i can't eat nuts. so what is a substitute for nuts? then, i know i can imtermitt fast on this diet. but, can i drink green tea with this diet in the morning? Great Info. I've made the same observations after I read about ketosis over the past weeks. My only concern is whether the fat sources like cheese are dangerous to use in the long run. "A study of more than 100,000 people over more than 20 years within the Nurses' Health Study observationally concluded that a low-carbohydrate diet high in vegetables, with a large proportion of proteins and oils coming from plant sources, decreases mortality with a hazard ratio of 0.8. In contrast, a low-carbohydrate diet with largely animal sources of protein and fat increases mortality, with a hazard ratio of 1.1." So the thing is which fats we can eat on a daily basis without worrying. I struggle to find more monounsaturated fats except from acovado! So.. i'm just curious, what, in your opinion, make people lose muscle instead of fat when they are just with that small but really fat belly that covers all the abdominal muscles? I see.. Ok Adrian but let's say that i'm pretty glad with the muscle i already have and i just want to lose those last 15 pounds on my belly fat.. Doing this diet while lifting weights and daily cardio (just walking in some days of the week) will make me lose fat and keep the muscle that i already have? I know you always say that the only way in this world of our body start eating our muscles is if we get our body fat percentage really low and then the body have no choice but start using lean tissue in order to survive and keep some fat. 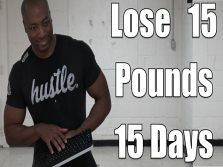 I've been reading a lot of information here in NowLoss because i'm just 15 or 10 pounds of reaching my goal and it is getting hard..
2nd - you say this ketogenic diet is good for muscle gain despite it's low carb character but you also told me before that low carb diets are not the best because it makes a really hard job to gain muscle mass..
And here you speak about ketogenic diet like if it is a really great thing to stick with so i'm a little confused.